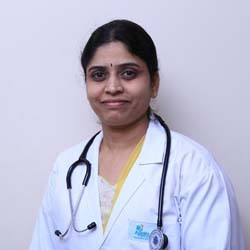 Dr. Sridevi Ragi is an Obstetrician, Gynaecology & Obstetrics Ultrasonologist and Social Obstetrics and Gynecologist who practices at Apollo Cradle, Kondapur, Hyderabad and has an experience of 11 years in these fields. She completed MS – Obstetrics & Gynaecology from Kasturba Medical College in 2005 and MBBS from Gandhi Medical College, Hyderabad in 2001. She is a member of Indian Medical Association (IMA) and FOGSI. Postnatal Care and Menstrual Irregularities etc. Dr. Sridevi was extremely kind and patient. I had awesome days at Apollo Cradle. It is the best place to experience the joy of birthing. It has the state-of-art technology. My choice always. Dr. Sri Devi had treated me with lots of love and compassion. She had an immense knowledge and is treated as an encyclopedia. I really felt happy with the care provided by the nurses. Thanks to Apollo Cradle and its caring staff. I was extremely nervous and anxious before my delivery, but as soon as I stepped inside the hospital I was eased. Right from the start, I was made to feel good. The admission procedure was quick, the staff explained the packages nicely and our doctor, Dr Sridevi was just amazing. The nurses always had a smiling face and my deluxe single room was extremely comfy. We will see you again … That’s for sure :)! My experience at Apollo Cradle, Kondapur was great. I loved the services and facilities here. It is like a home away from home. The staff is very supportive, especially Dr Sridevi. I was treated with utmost respect. The place is neat and clean. The meals were served on time and the taste and quality were satisfactory. I would surely recommend this hospital to my friends and family.